High Intensity Focused Ultrasound (HIFU) using medial grand Hifu technology. HIFU is a must have treatment that heats the tissues below the deeper layers of the skin causing it to contract and tighten. HIFU also known as Ultrasound Facelift has become one of the most sought after lifting treatments for face, neck and body such as Brazilian bum lift. It helps to contour your skin and change the way you look. Over time, collagen fires begin to lose elasticity, which in turn causes skin to lose its firmness and start to sag. 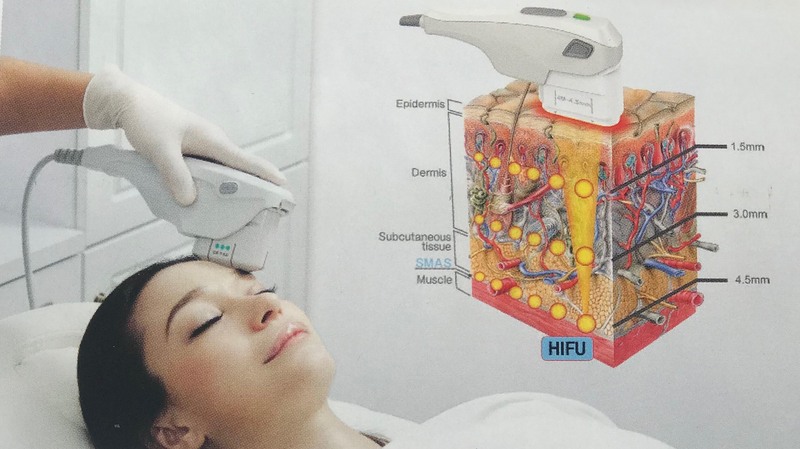 The SF HIFU Med technology specially targets the SMAS, and thus collagen production is stimulated and the process of tissue regeneration begins. This causes tightening and lifting of the skin and tissues resulting in a lifted appearance and a tightened feeling in the face and body. Our therapist will conduct a comprehensive consultation with you to analyse the level of skin laxity and suitability for treatment before any procedure. 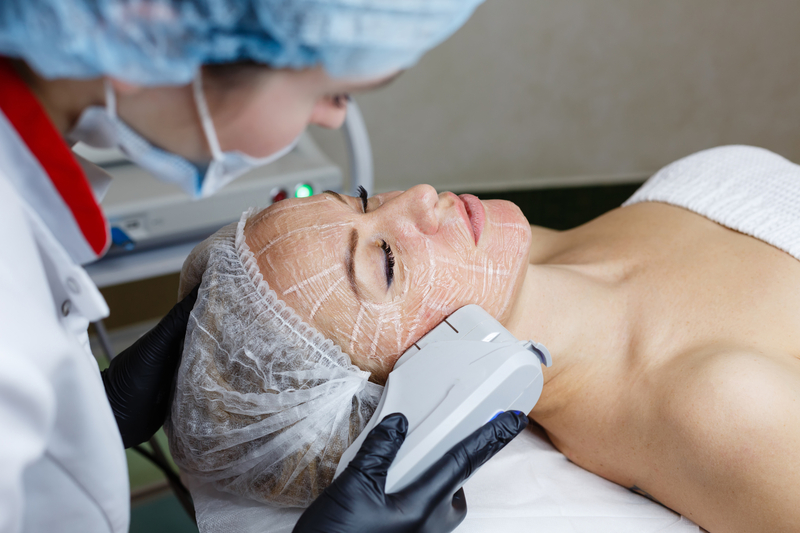 The procedure involves cleansing of the skin, mapping the areas to be treated using a ruler ad pencil then application of a conductive gel on your skin across the areas you desire to tighten. 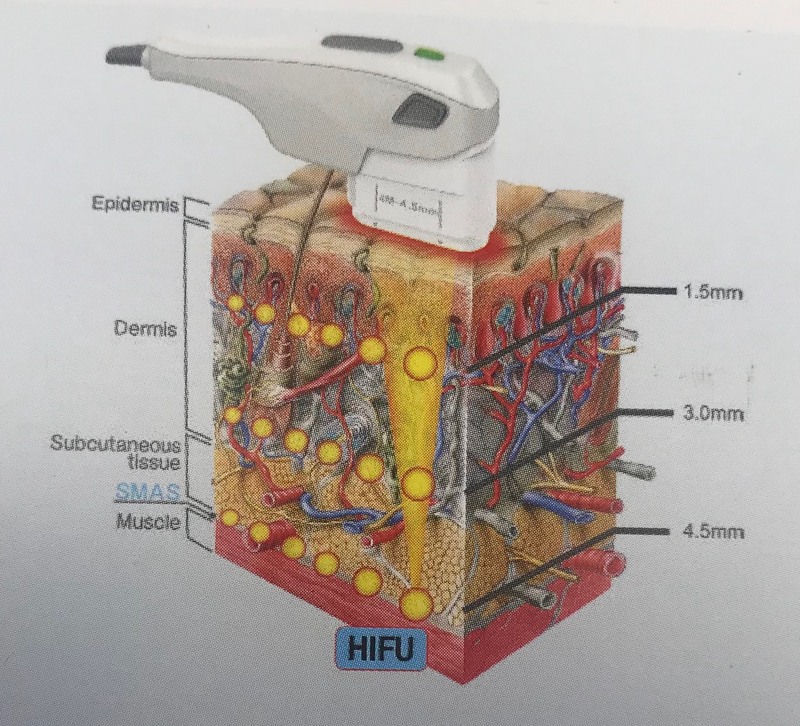 As the SF HIFU handpiece works on your skin, it generates a thermal effect, which helps your body begin to repair the collagen and produce additional collagen to tighten the area. 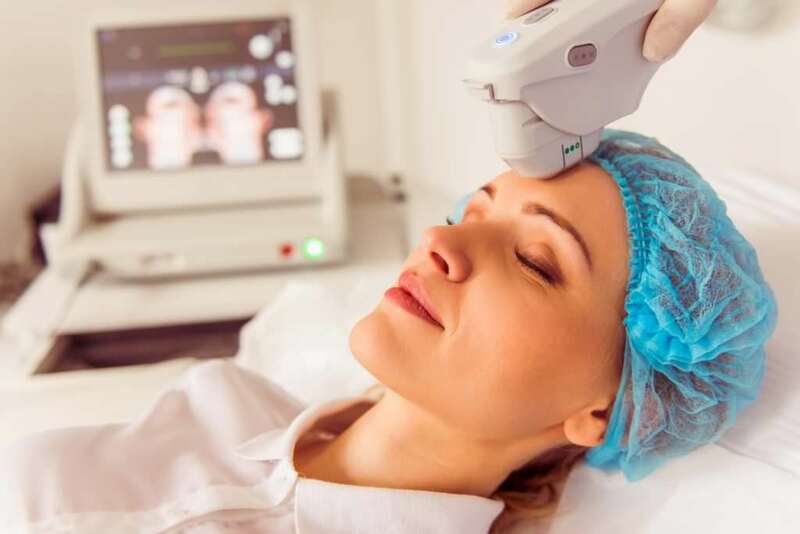 The procedure takes thirty to sixty minutes depending on the extent of the area to be treated but could take 90 minutes for a full face and neck as well as larger body parts. You may feel some tenderness and tingling but generally the treatment is pain free. There is no downtime following your HIFU. You might see slight redness for an hour or so directly afterwards, but recovery time is minimal and you can return to regular daily activities immediately after treatment. Sensitivity can last between 14 and 21 days. Directly after the procedure there may be visible lifting and a firmer appearance to the skin, however you will see the best results after three months, as the treatment induces collagen production, it helps your skin revive its youthful glow while producing a clear improvement in facial contouring and fine lines. Follow up second or third treatments can also be arranged to maintain the results further in the future (Further treatments will be discussed on the first consultation, most people will need two treatments. Occasionally if skin is not too saggy treatments are needed only once a year). Hifu technology stimulates natural collagen production with best results on clients between the ages of 30 to 50 but can be used on more mature clients with moderate skin laxity. Helps to smooth lines and wrinkles. Penetrates the deep layers of skin. Can be combined with fillers to enhance results. Non invasive procedure with no down time. Only one or two yearly treatments.